Binolux® brand is an exclusive design that represents over 70 years of superior craftsmanship in optics. Binolux® binoculars are ideal for all outdoor activities, sporting events and travel use. 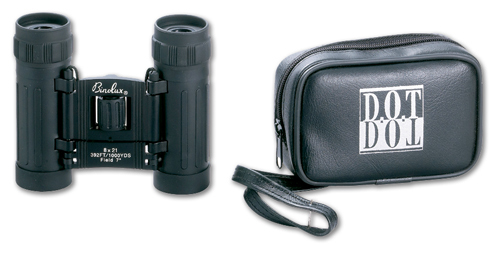 8x21 black armored roof prism binocular with carrying case, ruby coated lenses and boxed.